Your day is interrupted by sudden, intense pain radiating throughout your side and back, just below your ribcage. The pain comes in waves and is especially present when trying to urinate. You notice that your urine is pinkish-red in color, and although you frequently feel the need to urinate, when you do, you can only produce small amounts of urine at a time. Your pain is so severe you are considering going to the hospital. What could be going on? Your kidneys are essential to your well-being and health. In basic language, they are our “filters” – filtering out all the waste and toxins from our bloodstream and ridding it through urine output. This waste is comprised of multiple substances, but the occurrence of kidney stones is largely due to excess buildup of mineral deposits that form from this waste in our kidneys. Most commonly oxalate, phosphorous, and magnesium. These mineral deposits crystallize and form the small stones famous for causing so much pain. What’s the main culprit for kidney stone formation? In most cases, lack of adequate hydration. To function properly, our body needs water. For the kidneys, water is what helps flush out the system – diluting the buildup of minerals known to cause kidney stones. If you properly flush out your kidneys through adequate water consumption, your risk of developing kidney stones decreases significantly. So, prevention rule number one = drink more water! With that being said, staying properly hydrated will not guarantee you from suffering from a kidney stone attack. If you have a family history of kidney stones, suffer from certain types of diseases or medical conditions, such as Crohn’s Disease, and take certain medications, your risk increases. If you are already experiencing the stones, medications, such as alpha blockers, are prescribed to relax the lining of the ureter to allow the stone to pass more easily. In addition, pain control medications can be prescribed to help ease the pain while passing the stone. If medications don’t work, there are effective surgical procedures available as well that essentially break up the stone into very small pieces to aid in passing of the stone through the urine stream. 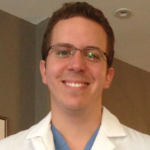 Common surgical methods include ureteroscopy and extracorporeal shock wave lithotripsy (ESWL). As the saying goes, an ounce of prevention is worth a pound of cure. So, it’s far better to prevent the stones from ever occurring in the first place than having to deal with them after the fact. There are numerous preventative measures aimed at stopping stones from forming. Dietary changes include decreasing your sodium intake, eating a diet rich in fruits and vegetables, and drinking more water. Behavioral changes include staying away from saunas and excessive exercising. You might be thinking: stay away from working out and relaxing in a sauna? Yes. Two things that seem healthy – but, in excess, lead to excessive sweating, causing dehydration: one of the key culprits in kidney stone formation. If you are a long-time sufferer of kidney stones, or a newbie who has never experienced one before, but has heard horror stories from friends and family, you are probably incredibly interested in finding out what you can do at home to prevent them from occurring. Let’s discuss some of the most common prevention methods and their likelihood of success. A common folk remedy, Uva Ursi is thought to not only help stones that have already formed, but also prevent future attacks from occurring. 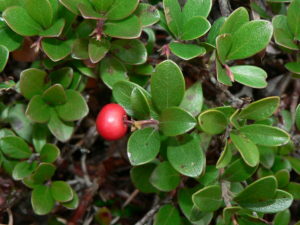 It is a plant and its leaves are used to make medicine that are known to treat urinary tract problems. Uva Ursi is thought to help cleanse the urinary tract and decrease bacteria in the urine, decreasing the chance of stones from forming. Dandelion root is thought to be a great kidney tonic and cleanser. Dandelion is an herb, and its roots are used to treat and prevent digestive and urinary tract problems, including kidney stones. Dandelion root contains chemicals that increase urine production and decrease swelling, and it is believed that regular consumption of this herb prevents the occurrence of kidney stones. Taking magnesium supplements helps in the prevention of kidney stones because magnesium helps prevent calcium from binding with oxalate within the kidneys, the most common cause of kidney stone formation. Promoters of this method say if you consume magnesium daily, your chances of preventing the reoccurrence of kidney stone increases significantly. Celery and celery root both increase urine production and clean out the kidneys. Thought of as kidney tonics, consumption of celery and celery root aids in the prevention of kidney stones. Eating celery raw is a great method of getting more water in your diet. Celery seed can be consumed as a spice or in tea. This plant is known to treat and prevent urinary tract infections by properly maintaining the flow of water between the kidneys and the bladder. Prevention-wise, consumption of nettle leaf keeps mineral deposits from crystallizing and turning into kidney stones, in addition to preventing bacteria buildup. 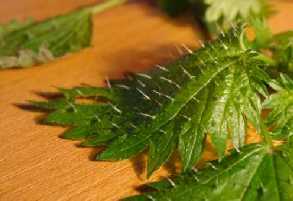 Nettle leaf is considered a natural diuretic. The name itself gives away half of the secret – “water.” Watermelon naturally increases your water intake, which is key in the prevention of kidney stones. Watermelon can be eaten raw, or you can consume watermelon seed tea to enjoy the same effects. And the Verdict Is. . .None of the Above? Do these home remedies work in the prevention of kidney stones? Scientifically speaking, evidence tells us they are not very effective in the prevention and/or treatment of kidney stones (as we’ve indicated my our star-based rating system). Most evidence of success rates are anecdotal in nature – and for every one person who promotes the benefits of these natural remedies in the prevention of kidney stones, there are two more that say they had zero effects in promoting kidney health. To make a long story short, there is no scientific evidence of these home remedies working like they are said to. Want to know a proven home remedy and preventative solution to kidney stones that does work? 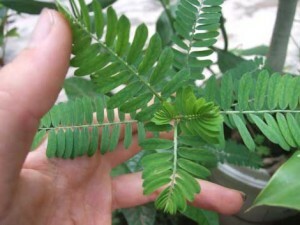 A plant found in the Amazon and in other similar tropical locations, lab grade Chanca Piedra has shown great success in the prevention and treatment of kidney stones. Taking this herbal supplement regularly has shown that it interrupts the process that causes the formation of kidney stones, effectively preventing them from occurring in the first place. Studies have shown that consumption of lab grade Chanca Piedra inhibits stone growth and the formation of crystallized minerals and also reduces the number of stones within the urinary tract, if you are already suffering from kidney stones. Doctors around the world have given lab grade Chanca Piedra their stamp of approval in the prevention and treatment of kidney stones. Chanca Piedra literally translates to “Stone Breaker” – which describes it perfectly. When taken to help treat kidney stones, lab grade Chanca Piedra dissolves the stone, allowing it to easily pass through the urinary tract. The greater benefit is that it drastically slashes the rate of future reoccurrence. How? By setting up a natural defense in your kidneys – reducing the buildup of excess oxalate, magnesium, and phosphorous – the three main kidney stone culprits. Want to spend your days drinking basil tea, eating celery, and crossing your fingers that the nettle tea you bought will do the trick? Why spend your money and energy on preventative measures that may or may not work when you have an option at your fingertips that has scientific evidence backing its effectiveness? When it comes to kidney stones, don’t take a chance on natural remedies that have no scientific backing. Lab grade Chanca Piedra is praised by doctors around the world and shows scientific evidence of crushing kidney stones and preventing their reoccurrence. Taken daily, lab grade Chanca Piedra will ward off kidney stones from ever forming in the first place. Your kidneys will thank you. © 2019 Kidney Atlas. All rights reserved. KidneyAtlas.org maintains the costly expense of running this website by keeping an advertising relationship with some of the offers included on this page. However, the setiment reported and products excluded from the page is based on objective analysis. KidneyAtlas.org strives to provide timely and accurate information. The information in our reviews may differ from what you find on a specific product’s website. All products are displayed without warranty from us.